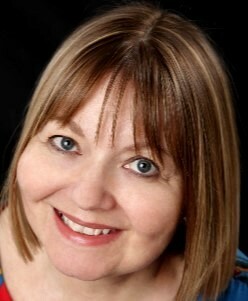 This Book Review and Author Spotlight is part of a Blog Tour of A Kiss from France by Susan Hughes, organised by Brook Cottage Books. London, 1917. Lizzie Fenwick is young, ambitious, and in love. At least, she thinks she’s in love with the soldier who answered the note she concealed in a box of ammunition shells. She spends her days filling shells with TNT, and her nights dreaming of the mysterious Harry Slater. Eunice Wilson knows the exact moment her marriage to Jack began to fracture. He refused to enlist, and their patriotic neighbours never let her live it down. Now he’s been conscripted and she can’t help but feel regret for shunning Jack before his departure. A Kiss From France is a historical fiction romance novel set in London’s East End during World War I. If you like compelling human stories, believable female protagonists, and the suspense and intrigue of war-time London, then you’ll love this heartfelt tale of two women who yearn to feel alive in a broken world. A Kiss from France is a historical drama set in wartime London. It’s about two women, Eunice and Lizzie, who work at an ammunitions factory during the war. The degree to which both women’s lives will be heartbreakingly intertwined is gradually revealed through a tight and twisting plot. Although the binding element in the novel is a love story between Lizzie and a soldier with whom she corresponds during the war, I wouldn’t consider this novel strictly speaking a romance. There are other major themes which surpass the love story, such as, loss, betrayal, post-traumatic stress disorder, prejudice, marriage and motherhood, all against a backdrop of the final months of WWI and the beginning of the post war economically deprived and emotionally battered England. I was impressed by the way it deals with the trauma and desperation of those who return home from war, and the emptiness and pain of those who stayed behind and witnessed the return of men whose minds and lives were irrevocably broken. It’s about how exceptional and extreme situations, like wars, affect the lives of ordinary people in their daily lives, and influence their perception of life and love. The author describes the toils and peculiarities of wartime England, pulling us into this powerful and moving story of unprecedented sacrifices and passion. The characters are authentically portrayed, in their despair, as well as their goodness, and struggle for survival in an unfair and cruel world. The outcome is surprising, yet unexpectedly realistic, rather than romantic. A must read for lovers of intense novels set in wartime London. A career in the City of London during the frenetic ‘Big Bang’ boom of financial de-regulation was followed my marriage, children and a desire for a change of gear. A move to the rural West Country enabled her to raise her sons near the coast and indulge her penchant for visiting stately piles while finding time to keep up her reading habit. After she found a handful of WWI silk postcards among her grandmother’s possessions, the romantic greeting on one of them inspired her to weave a story around its imagined sender and recipient. It became her first novel, A Kiss from France. She is now working on her second book send in inter-war London. Sounds super exciting! European history and love affairs are right up my alley. Just ordered a sample. Will be excited to read it. Hello Luccia. 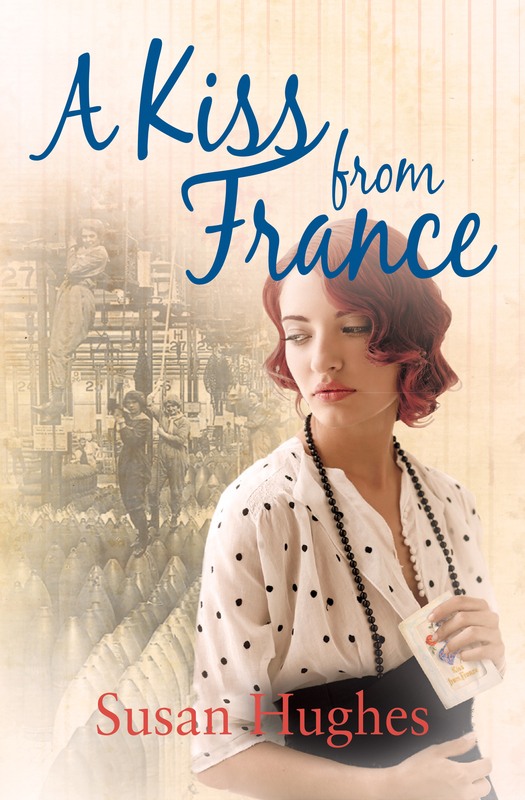 Thanks for being part of A Kiss from France blog tour and for your fabulous review. I believe you have caught the very essence of the story. As a debut author it’s pleasing to know your characters make an impact when you send them out into the world! Thank you for allowing me to read your book. I really thought you caught the spirit of the time and what your characters were going through. It sounds excellent. Thanks, Luccia. It’s reblog Saturday! I chose this post to reblog because I like European history and this book looks interesting. I ordered a sample on Amazon to read after I finish the book I’m already on. I hope everyone has a fun, safe weekend!